Start with cutting off the ends, then continue with the sides. 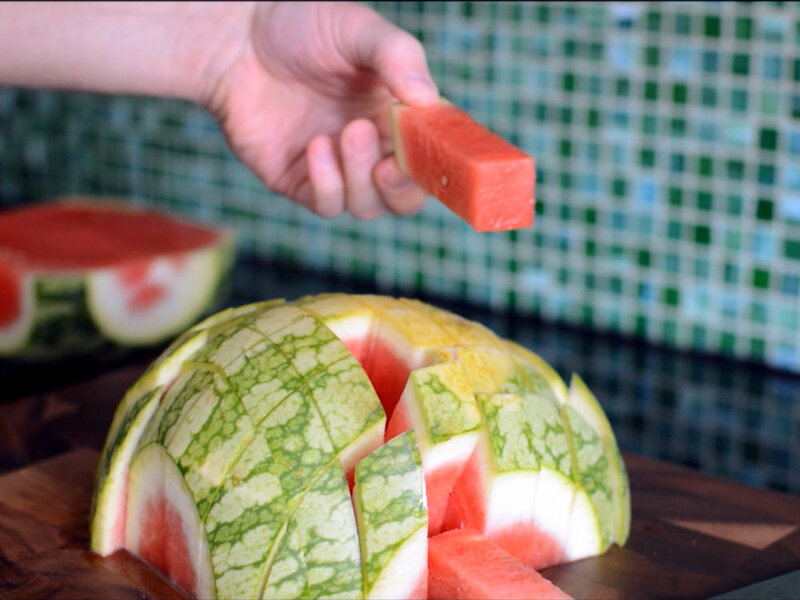 And if you want, continue cutting away all the rind around the center. Then turn and continue cutting crosswise.